Kamala Harris is running for president on a platform of raising taxes on the wealthy, implementing a Socialist healthcare system and reforming state cash bail systems in favor of poor inmates, The Washington Post reports. Harris intends to make taxes a focal point of her campaign, contrasting her tax package with the legislation Trump and Congressional Republicans passed in December 2017. Harris’s tax plan, proposed Oct. 18, is a Robin Hood-type plan that would hike tax rates on wealthier Americans to cover the cost of tax credits, up to $3,000 for individuals and $6,000 for families, offered to people making under $100,000 a year. The tax credits would not be available for Americans who do not earn a paycheck. Harris’s tax plan would overwhelmingly benefit poor and lower middle-class individuals and families, while increasing the tax burden of those over the $100,000 cutoff. It would reduce federal revenues by roughly $2.7 trillion over a decade, according to an analysis by the Tax Foundation. The Manhattan Institute, a conservative think tank, estimated that a Medicare-for-all plan could cost as much as $42 trillion over a decade and more than five-times that amount over the course of 30 years. Proponents of the plan say the immense cost would be offset by freeing Americans from paying for health plans and premiums, but skeptics and critics say that argument is not backed by any sort of data. Massive tax hikes and spending cuts in other programs would have to come with the single-payer system to make it financially feasible, according to the Manhattan Institute. Harris also plans to push reforms to cash bail systems to favor poor Americans. Harris, along with Republican Sen. Rand Paul of Kentucky, introduced a bill in July 2017 that would offer a three-year, $10 million grant to states that reform or abolish their cash bail systems. 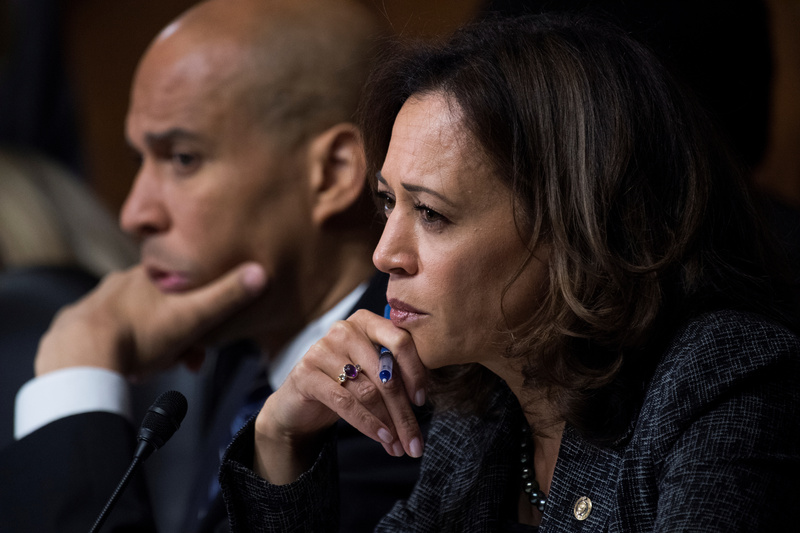 The push may stave off criticism coming from fellow Democrats over Harris’s career as a federal prosecutor for actions such as criminalizing truancy, which disproportionately affected poor families.